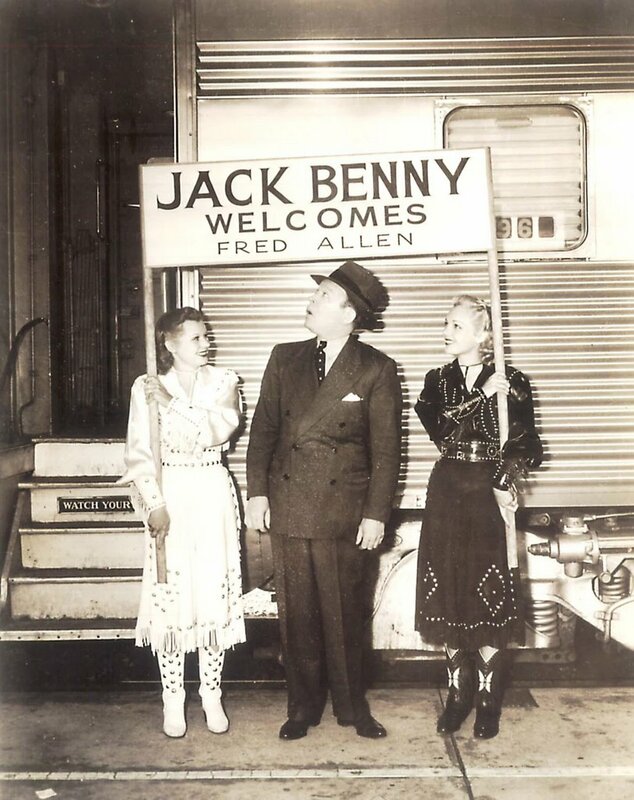 There was a time when every kid in the country knew all about the Jack Benny/Fred Allen feud. For years, it was a national fixation. Now both comedians are sadly forgotten, at least by younger generations. You’d have a hard time getting recognition signals at the mention of Allen’s name from even folks in their sixties. He’s been gone since 1956, and a lot of his radio humor seems droll to the point of abandoning comedy altogether. His legacy would seem to have become the chief concern of serious airwave archeologists, while Benny’s humor can still click with listeners otherwise disinterested in vintage broadcasting. Fox is releasing O.Henry’s Full House on DVD in a few weeks, an omnibus for which Fred Allen did one segment cut prior to release. The Ransom Of Red Chief was only seen during a few initial engagements in 1952, but apparently it still exists. The director was Howard Hawks, which is reason enough to restore the footage. As it is, the title O.Henry’s Full House is itself a misnomer, since there are actually only four stories in the show as presently constituted. I’d like to think Fox has remedied that, but nothing in the DVD announcements would indicate they have. Update --- as of 8:12 a.m., there have been several readers who report having seen O.Henry's Full House on television, complete with the Fred Allen story, so I'm happy to report I'm mistaken as to its latter-day absence. The question now is this --- when did Fox put the segment back into the feature, as it was definetely cut for general theatrical release ... ? I saw "O. Henry's Full House" on TV about 35 years ago and the Fred Allen/Oscar Levant sequence was intact -- to me, it was the best part of the movie, laugh out-loud funny. "Droll to the point of abandoning comedy altogether" -- a perfect description of Fred's radio work. I wonder if his is a case of "you had to be there." 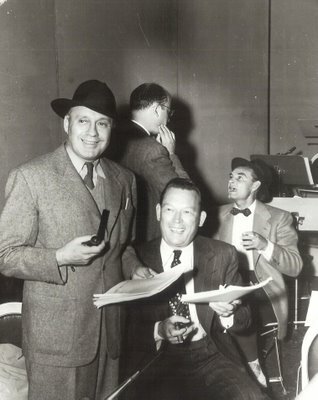 On the other hand, Jack Benny's been my favorite forever. I must've been the only seven year-old who made it a point to watch his TV show every week. Hi John - just had a gander at the cover art for this release and Fred Allen is top-billed (as alphabetically listed) - his sourpuss mug gracing the top corner of the sleeve. On the subject of Fred and Jack, I love that sequence from "It's in the Bag!" where Allen visits Benny. I won't give away what happens for those who haven't seen it - but it's a beaut! Love to see a box set of the much maligned Jack Benny vehicles. Hi, O.HENRY'S FULL HOUSE has been shown several times on TV (TCM, I believe.) Each time it contained the "Ransom of Red Chief" episode with Fred Allen and Oscar Levant. The Benny/Allen feud was classic comedy writing that stayed funny for many years! Luckily the vast majority of the over 900 Jack Benny radio shows are available and are wonderful examples of radio comedy that still is entertaining almost 70 years later. Best way to buy them is on MP3 cd disk sets on eBay--usually for $20 or under for the complete set! I have been after Universal for years to get both "Buck Benny Rides Again" and "Love Thy Neighbor" released to DVD, both from 1940 and deal with the Benny/Allen feud as well as some great comic situations. Anybody have an "in" with Universal to prod them some more? When I saw the movie, it was in syndication, not a network airing. I first became aware of Fred Allan as a kid, when i found a paparback that had his script of his final broadcast with Jack Benny. I knew Benny, of course, who was still ubiquitous on TV through the early 70s. It took me a while to understand that Allan--who I'd never heard of--was just as big. I don't seek out a lot of OTR, but always enjoy Allan, and picked up a copy of his book "Treadmill to Oblivion" at a sale once. Funny, but you can tell that he was a little bitter. "In the Bag" was one of the first tapes I rented when we got a VCR. Halfway through, I realized that it was based on The 12 Chairs. Enjoyed it more, 'cause it made it much more blatant how Allan just needed a structure for the set-pieces. It really is too bad Fred Allen is so forgotten, as he was a great American humorist. Forgotten or not, several of his best quotes are still floating around, albeit often cited without giving the source. Two of my favorites: (1) "You could put all the sincerity in Hollywood into a flea's navel and still have room left over for three caraway seeds and an agent's heart;" and (2) "Television is called a medium because it is neither rare nor well-done." I may be 37, but I'm still hanging onti thye hope that I'm part of the "younger generation" and as such I'd like to say, as I think I have before here, that I LOVE Jack Benny.Excited that FULL HOUSE is finally coming out on DVD, as I've not seen it and have an itch to see more Fred Allen. I'll chime in to say that RED CHIEF was in the film the first time I saw it in the early seventies. I do recall several airings of similar anthology films though where stations felt they had the right to cut whole segments to fit the movie into a certain time slot and/or add more commercials. I would like to add to the conversation by stating that, even at the tender age of 35, I am a big fan of old time radio. In fact I have been a fan since I was a teenager. My first experiece was finding a tape of The Jack Benny Show with the episode Your Money or Your Life ("I'm thinking it over!"). I was hooked from the minute I heard it. In fact I actually began to understand some of the jokes I saw on Looney Tunes cartoons! At first I despaired that I would be the only one my age into otr, but I have been surprised at how many people are really into it, and how many collectors and enthusiasts are out there. In fact we did a special post over at the Shelf just this Tuesday about enjoying Halloween on OTR and it was one of our bigger days lately. There are tons of sites across the web dedicated to OTR and many of them have shows available to listen to, or for download. One of my favorites is Zoot Radio. Their forum group is amazing (and there are many in the 25-40 age group!). I think otr will be around for a while. It's survived from radio to records, to tapes to CD's and now it's thriving in the digital age and I know several people who have ipod's dedicated to their shows. There is even software out there that helps to organize and label shows in digital files with broadcast date. I know this is a long-ago post, but I thought I'd add... as of today (9/12/07), someone at ebay is offering a poster for the original release of "O. Henry's Full House" -- and Fred Allen's name is the first listed. So it looks like his sequence was always there.